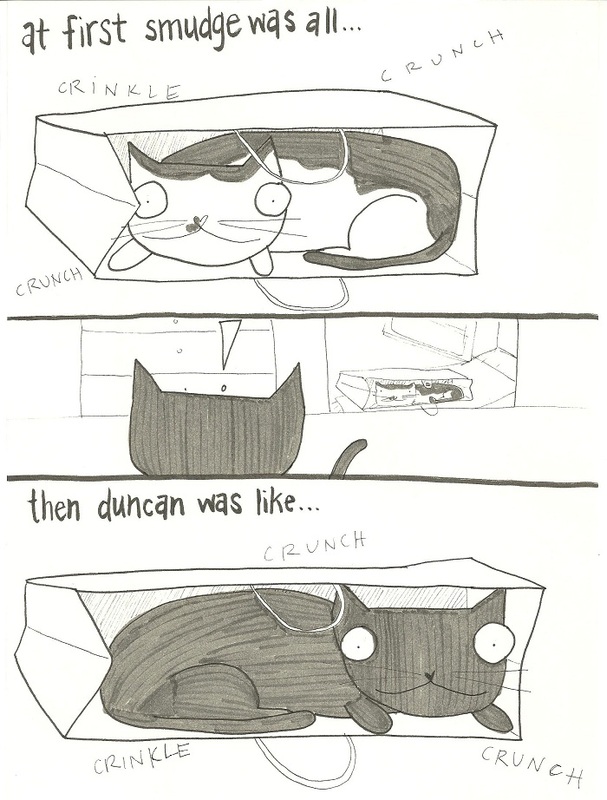 Duncan never cared about that bag until Smudge was all up in its business. Sooooo, I really have little to say about this except that this was the only love this bag got from the cats and it was mostly because Smudge likes to burrow and because of cat jealousy. Duncan may be paving the way for a new Olympic Sport. The principle works with boxes, too! This happened at my house! Savannah, my Bengal cat, LOVES playing in bags, and my Magical Manx Cat, Tybee, pretends like the bag is lame…until Savannah leaves. Then she jumps inside and acts like the bag is the coolest thing since tuna water.